Hello my dear. I'm so happy you are here. Do read below, and watch the videos to learn more. Most of all if you want to chat with me 1:1 wherever you are just click here. If you'd like to understand the power of healthy foods, click here for your free foods training. 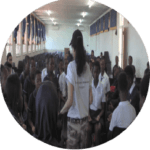 If you'd like to invite me to inspire your group, small or large anywhere in the world, click here. Brought to you by the inspirational internationally known mind-body-spirit Yogic Scientist, and serial entrepreneur, Dr.Vie. 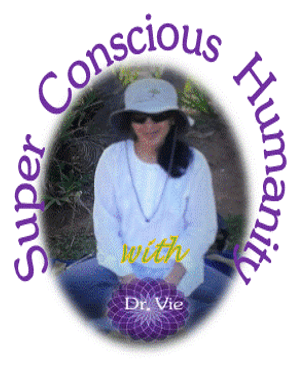 Now empowering you to progress as a Super Conscious Human. You live in uncertain times; everyday seems more tumultuous. Do you feel like you are questioning your basic values all over again? Feel like you are not achieving what you were meant to? 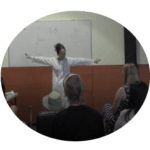 Do you wish you can BETTER YOUR confidence, self esteem, emotions, relationships, career, friendships, body image, life situations and whole future? You may be unable to control what happens in the global world, but you can shape your own inner self, and become stronger and more confident, so you can rise to the occasion. There could be a few limiting beliefs that are holding you back from being the amazing, happy you. Overcome the limitations that stop you from being the happy you. The 5 Step Express Mind Body Make-Over with Dr. Vie. Your customized one on one program, contains the proven powerful techniques to overcome the limitations and transform your life. Take your personal Life Profile Assessment. 3 months, or 6 months, or for as long as you wish as you become more independent. WHAT ARE OTHERS ARE SAYING AFTER TAKING THE PROGRAM? WHAT THE SECRET SAUCE OF THE LIFE PROFILE ASSESSMENT DOES FOR YOU? Dr. Vie’s extensive 20+ years of research into the mind-body-spirit triad has revealed the Bag Of Codes. The Life Profile Assessment uncovers your unique Bag Of Codes which provides a blueprint for your successful life long plan of happiness. What you discover about yourself from the results of the Life Profile Assessment is key to Step #4, your personal guidance from Dr. Vie. 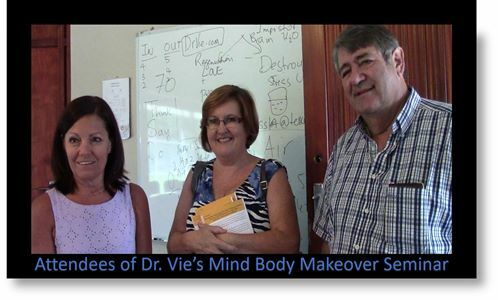 HOW DR. VIE’S PERSONAL MIND BODY MAKEOVER CAN TRANSFORM YOUR LIFE? 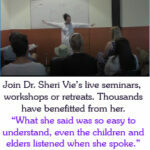 Dr. Vie’s keen insights into the causes of and solutions to the suffering and mindset of men and women from around the globe will be of immense benefit to your unique situation. Her expertise in natural wellness expertise, super natural foods secrets, entrepreneurship journey, Yogic lifestyle and brain power research is shared with you throughout the program. During you time with her she focuses on your unique Bag Of Codes, and guides you to realize how you can improve your life situation that you are facing today. Dr. Vie and you will come up with a Protector Plan for you. Step #5 Monitoring your progress will be based on how you implement the Protector Plan over the days and months ahead. “I was a shy youth when I left South Africa on a working scholarship, full of anticipation and hope. Life was not a bed of roses for sure, but the amazing thing was that I gained self confidence, a sense of adventure and loved being my real Self. Because of that, I’ve pioneered so many firsts, but the best of all, was unleashing my Protector. WHY WAIT IF YOU WANT TO TRANSFORM YOUR LIFE? Why put off shaping your future and enjoying a life of happiness and prosperity? Do not wait for yet another year to pass you by. From all the things you can afford to lose, time is not one of them. Enjoy: Better health, better relationships, better friendships, better self esteem, better confidence, better work, and better life, sooner than later. DO not wait and miss out. Every minute is shaping you future. What are you doing right now, is going to be your future. CONTACT ME HERE. I WANT TO HELP YOU RIGHT AWAY. If you have not yet seen the healthy foods video click here. If you are feeling frustrated, helpless or unfulfilled, then do benefit from my GIFT to you. If you want to reduce stress, calm your mind, relax your body, and stabilize your emotions, you will love this 20 minute guided breathing and meditation video. Let me know your name and email, then click Relax Video, so I can send you the details to get the video. Eagerly awaiting you. 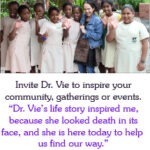 Lots of love, V.
Invite Dr. Vie to INSPIRE YOUR GROUP and spread the love. Contact Dr. Vie now and be the one to better your world. Non-religious, neutral, embracing all humans no matter what. Even the wealthiest man and woman can be inspired. I'd love to help, tell me how. If you'd like to invite me to inspire your group, anywhere in the world, click Invite Dr. Vie. Helping others, makes our world a better place. I'd love to inspire your group. Just fill in your name and details below and click Send Request, then check your email for an important message so we can discuss the details and any questions you have. I'm so happy you are taking the lead to spread the love. A big hug to you. V.